Note new session length. Play and create in 3D! In this 8 week class, we will explore art beyond painting and drawing. 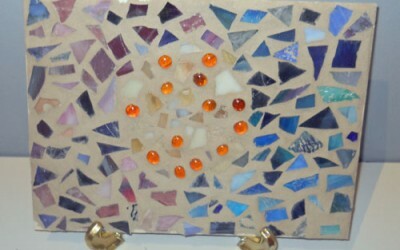 We will work with a wide variety of mediums including recycled art, mosaics, glass fusing, fiber art, and more. Perfect for the young maker-in-training. Minimum 4 students. All supplies included. WINTER SPRING SESSION begins March 23. Class runs Saturdays from 10:30am-noon for 8 weeks. $100 (members), $120 (non-members). Please note: this class is full.